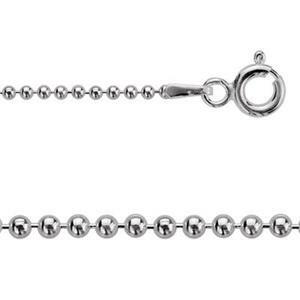 The perfect little ball chain for long charm cluster or statement pendant necklace making. Tiny 1.5mm beads linked together with embedded connectors that give this chain flexibility and drape. One of our most popular styles! Copyright © 1997-2019 Halstead Bead, Inc. All Rights Reserved.